Nearly 384 million smartphones were sold in the first quarter of 2018, representing 84 percent of total mobile phones sold (see Table 1). 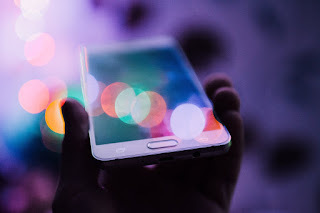 "Demand for premium and high-end smartphones continued to suffer due to marginal incremental benefits during upgrade," said Anshul Gupta, research director at Gartner. "Demand for entry-level smartphones (sub-$100) and low midtier smartphones (sub-$150) improved due to better-quality models." Continued weakness in Greater China's mobile phone market also limited growth potential for the top global brands, including Chinese brands such as OPPO and Vivo, with over 70 percent of their sales coming from Greater China. Samsung's midtier smartphones faced continued competition from Chinese brands, which led to unit sales contraction year on year. This is despite the earlier launch of its flagship Galaxy S9/S9+ compared to the S8/S8+ in 2017, and despite the Note 8 having a positive impact on Samsung sales in the first quarter of 2018. Samsung's smartphone growth rate will remain under pressure through 2018, with Chinese brand's growing dominance and expansion into Europe and Latin America markets. 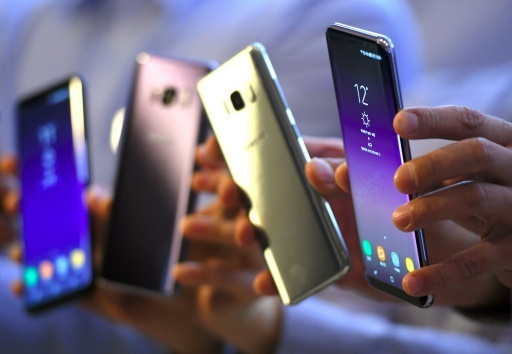 Samsung is challenged to raise the average selling price (ASP) of its smartphones, while facing increasing competition from Chinese brands that are taking more market share. The delayed sales boost for Apple from last quarter materialized. Apple's smartphone unit sales returned to growth in the first quarter of 2018, with an increase of 4 percent year on year. "Even though demand for Apple's iPhone X exceeded that of iPhone 8 and iPhone 8 Plus, the vendor struggled to drive significant smartphone replacements, which led to slower-than-expected growth in the first quarter of 2018," said Mr. Gupta. "With its exclusive focus on premium smartphones, Apple needs to significantly raise the overall experience of its next-generation iPhones to trigger replacements and lead to solid growth in the near future." Xiaomi was the clear winner of the first quarter, achieving a growth of 124 percent year on year. Xiaomi's refreshed portfolio of smartphones and aggressive pricing strategy helped it hold the No. 4 spot in the first quarter of 2018. "This strategy led Xiaomi to achieve 330 percent growth in the Emerging Asia/Pacific region," said Mr. Gupta. In the smartphone operating system (OS) market, Google's Android and Apple's iOS achieved growth in units in the first quarter of 2018, but Android saw its share slightly contract (see Table 2).